Does the family have use of the Imperial Palaces? Or are they used by the president and or others? Does the family have use of these? Or are they used by the president and or others? The Palaces are museums now. Rio de Janeiro is no longer the capital of Brazil. Prince Luiz, the Head of the Imperial Family, lives in a rented house in São Paulo, with his brother and heir, Prince Bertrand, Prince Imperial of Brazil. The Palace of Guanabara (the original name was Isabel Palace) was a personal property of Princess Isabel and her husband, the Count of Eu. The Republic stole the Palace. The Imperial Family is still suing the Government (Princess Isabel appealed in court for the first time in 1891), in order to retrieve the Palace. Prince Alberto of Orleans-Braganza, younger brother of Prince Luiz, the Head of the Imperial House, who is one of the best lawyers of Brazil,is in charge of the case. 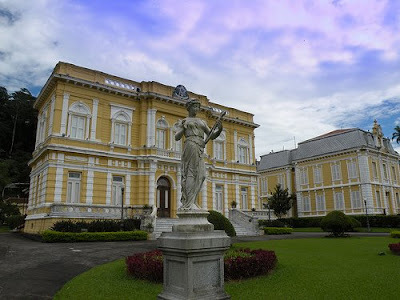 I think someone in the forum already said that the Palacio do Grão-Pará (or Grão-Pará Palace) is the home of Dom Pedro Carlos de Orléans e Bragança e Bourbon, one of the pretendors of the throne. The last time I was in Petropolis, I was told that he is also the owner of the Princess' Isabel House. Dom Pedro II visited the United States in 1876 to join President Grant at the Philadelphia Centennial Exposition. Pedro met Alexander Graham Bell at the exposition. Dom Pedro II was the first person to buy stock in the Bell Telephone Company. One of the first telephones in a private residence was installed in the Emperor's Palace in Petropolis. It's such a tragedy. Most of the collections seems to be lost and according to what I've read the building itself is reduced to a shell that is at the risk of crumbling. 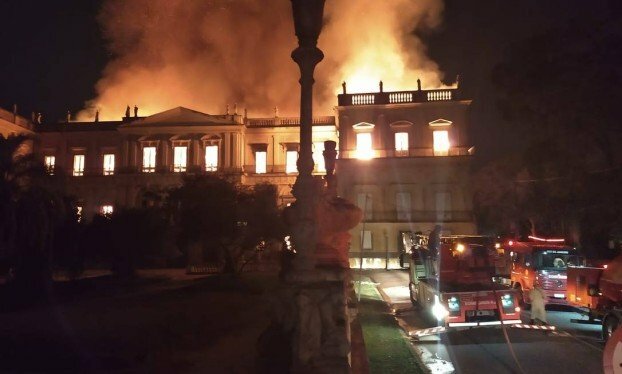 It seems there was no fire protection measures to speak off and the big question is if Brazil has the funds to restore the palace. Absolutely tragic to see this fire. Every fire is tragic and this one takes irreplaceable items. Very sad to see this. Destroying most of its collection of 20 million historical items they say. It's really terrible! It is horrific that fire destroyed amazing pieces of art. On a cynical note, I hope that the fire in question happened due to negligence in carrying out safety procedures and was not a cover-up for stealing artifacts and pieces of art. From what I read the building was neglected for years and years. Some former imperial rooms -closed for the public- had roofs covered with plastic and the electric wiring was hanging loose. When the fire brigade came it seemed that even the fire hydrants were not working. There is nothing left of the building apart from the walls. That sure is the big question! Because the museum had recently been allocated funds (don't know how much, or if it was remotely adequate) some of which was to go to fire prevention. There will no doubt be political repercussions, but that's a little comfort, because even though the palace can be rebuild, the destroyed artifacts can't. The destruction of a national museum in any country would be catastrophic. And if the national museum has been negleted to such an extent, are there any other museums that can provide a sufficient "historical back-up" in regards to some of the artifacts lost? What terrible news and shocking that so much was lost in the fire. An APPALLING and irreparable loss to the World, and especially to the people of Brazil..
An awful blow to the national psyche that will hit HARD...and the recriminations over who was responsible for the neglect of these treasures will not help an already fragile polity.. Here's a news report from the fire,people are visibly upset 200 years of history gone. 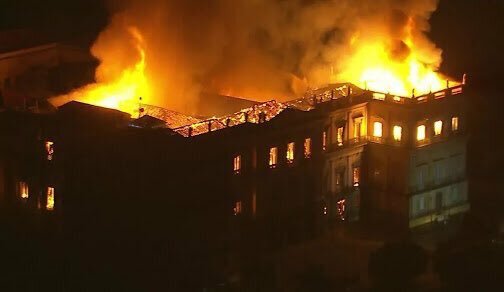 The former Imperial Palace in Rio de Janeiro and now National Museum who damaged by a large fire on 2 September 2018 now start to rebuilt it again!